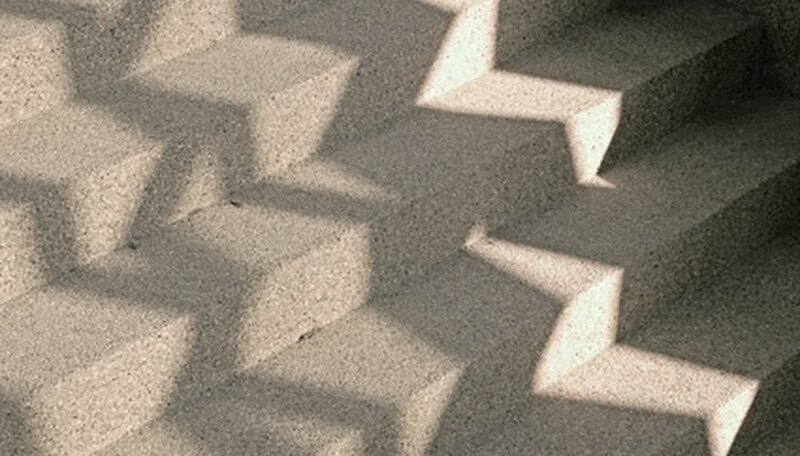 Pre-cast concrete steps are built off-site by a manufacturing company and then delivered to your home. In most cases, the manufacturing company will install the steps themselves, or offer an installation service as part of the package. In this case, it is often the responsibility of the homeowner to prepare the ground for the installation of the steps. Obtain accurate measurements of the stairs including their width, depth (or length), and height direct from the manufacturer. Usually this information is provided for you but it may be found on the manufacturer's website or by contacting them by phone. Mark the area where the steps are to be installed with 2-inch-by-2-foot wood stakes and string. Clear the ground inside the area of debris and rocks. Excavate the area inside the stakes by digging down to the frost line (about 4 inches in most climates) with your flat edge shovel. Level the dirt once all the grass is cleared using a grading rake, or the flat edge of your shovel, if you do not have a grader. Tamp down the dirt using a tamping tool. Start at one corner and tamp down a section at a time, moving up and down the square of dirt, until the entire area is completely flat, and all potential air pockets are removed from the dirt. Check the ground to ensure it is level with a 3-foot long carpenter's level. Ensure the entire section of dirt is level and flat. If not, repeat step 5 until the entire area is level.